SPACIOUS AND BRIGHT FULLY FURNISHED TWO BEDROOM APARTMENT (100,9 m2) ON THE 3RD FLOOR WITH LARGE BALCONY AND A WIDE VIEW. 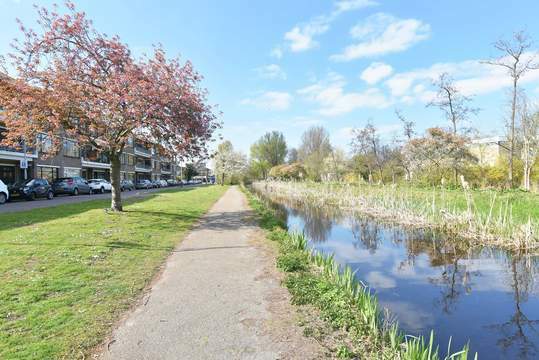 CONVENIENT LOCATION CLOSE TO THE "MARIAHOEVE" SHOPPING MALL, PUBLIC TRANSPORT, RAILWAY STATION, MAIN ROADS TO AMSTERDAM/ ROTTERDAM/ UTRECHT AND CLOSE TO THE BRITISH SCHOOL! Lay-out: Representative central entrance, elevator to the 3rd floor, entrance apartment, hall, spacious living / dining room with fantastic views (big trees give green view and full privacy on both sides most of the year) and access to the large (13m2) balcony, fully equipped luxurious kitchen with smaller balcony (3m2) with storage. Master bedroom with wardrobe, modern bathroom with bath and double sink, separate toilet, second bedroom with access to the balcony. Ethernet cable connection for computer and cable tv connection in each room. WE DO NOT CHARGE COMMISION TO THE TENANT!